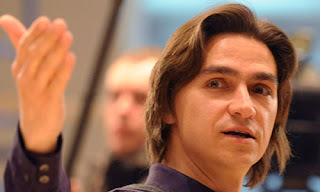 A week after Filin’s appointment in 2011, the theatre’s deputy director, Gennady Yanin, left his position after personal photographs were leaked onto the Internet. And this week, Bolshoi ballerina Svetlana Lunkina refused to return to Russia after threats to her life over her producer husband Vladislav Moskalyev’s film about the great Russian imperial ballerina Matilda Kshesinskaya. Lunkina has been living in Canada for the past six months and is currently teaching in Toronto. Though no clear motive has been found for the assault, Filin’s colleagues suspect this to be a case of professional envy, in particular over Filin’s casting choices for top roles. Fillin has been released from hospital with a prognosis of complete recovery in spite of worries that he would lose sight in one or both eyes. Principal dancer Galina Stepanenko will act as interim artistic director until Filin can resume his duties.